Dog food taster: Would you like DOG FOOD? Dog food taster! Sounds awful! But Simon Allison's job is to eat pet food for a living. To make sure the flavors are just right, a group of adventurous eaters chow down on pet food, remarking on everything from texture to tartness. But they only go so far: Simon Allison, a senior food technologist for Marks and Spencer, admits to spitting out the pet food after tasting it and keeping a glass of water on hand to rinse with. Pet Food Tasters evaluate the nutritional value of pet food and taste-test it to make sure the food is not unhealthy for the pets. Pet Food Tasters don't spend every day sampling it though. Moat days, they're writing reports and thinking up new ideas on how to put a nutritional spin on a new line of food. Taste is important, but nutrition is the key to health pets. Though dogs will eat anything , that doesn't mean they should. Pet owners want flavorful, immune-boosting pet foods. Smell is also important when choosing the best options. No homeowner wants a house that stinks of fish. The average salary for Dog Food Tasters is $40,000 annually. Average Dog Food Taster salaries can vary greatly due to company, location, industry, experience and benefits. Mr. Allison who has three cats at home - Pants, Socks and Vest -has a favorite pet food: the organic luxury chickn dinner with vegetables for cats. Sniffing the product a bit like a professional wine taster, he said:" It has the taste and aroma of chicken and some of what you call the red flavors - things like heart and liver; gusty; savory notes. Then you get a mealy, green pea, pulse aroma and occasionally a sweeter note from the carrot. Simon gets to eat and taste chicken dinners, beef strips or campfire jerky bars and it's a dog's dinner (or cat's breakfast), he eats it. What's more, he enjoys it. "You have to chew it a bit. I have trained my palate to look for materials that we will not allow in the recipe, such as tripe -pet owners react badly to the smell of tripe." Logical Thinker: You should take a step-by-step approach to analyze information and solve problems. Detail Oriented: You must pay close attention to all the little details. Outside the Box Thinker: Your creative brainpower gets a workout as you come up with innovative ideas. So definetly you have to be really creative with the ingredients and aroma. So would you like to know how your pet's food tastes? World's sweetest job: Eating Chocolate for living! Sally McKinnon, 32, is a product development manager for Tesco. She buys and astes chocolates for the supermarket's seasonal ranges. Sally is one lucky women who actually tastes seasonal chocolates (as part of her job) and brings out special ranges for Christmas, Easter, Valentine's Day and Mothering Sunday for a company named Tesco. She needs to plan each range really far in advance because it needs a lot of tasting to get that perfect mellow taste. She does a lot of market research and hold tasting sessions in the store around the country to find out the taste of the majority and to what are their likings on special occasions. Also to find out what kind of chocolate people like from different areas. She keep looking for the new chocolates and daily consumers for that products, keeps a close watch on it. And for that she travels around the globe like she would go to Brussels to taste chocolates there to find out their taste which helps her in developing new tastes. Sally did an honors degree in food science at the University of Aberdeen, then worked for an ice-cream supplier, developing new flavors. Before getting into this job of chocolate tasting, she worked for Tesco on their sandwiches range, yoghurts and desserts- and even sushi. It's the best job in the world that's what she says. "I get paid to taste chocolate every day. My desk is absolutely covered with chocolate- it's fantastic. I really enjoy working as a part of a team, developing the chocolate ranges." as she calls it. Everyone's interested in the product so there's never any shortage of volunteers for the chocolate tasting session, who would not want to eat chocolate for free? A chocolate taster as to often get to visit places like Paris, Brussels or New York to see what kind of chocolate is selling hot there. And it is such a pleasure watching people buying and liking the chocolate you developed. To do this job well, you need to enjoy food and to be enthusiastic and passionate about chocolate. Also should be aware of the latest trends and update about the market. The job involves a lot of interaction with supplier, design agencies who do the packaging, and of course, customers. So the job also demands you to be a people person with a good and clear communication and should have a good knowledge about the product. You need a good qualification or a degree in nutrition or food science. Gert some experience in product development, from the retail side or the supplier side. You can get more information on training from Improve, the Sector Skills Council for the food and drink industry, at www.improveltd.co.uk; or the institute of Consumer Science at www.icsc.org.uk. Got a sweet tooth? Then this job is for you! Ghost Hunters – Real Job or Fantasy TV? Everyone these days have seen the television series about ghost hunting and eradicating all the evil spirits from their homes. But do these actions really go on in our every day real life? Believe it or not, there is actually a small market of jobs for people who consider themselves “Ghost Hunters”. Although ghost hunting is an actual job, it’s not exactly an easy one to get into. There are actually steps in place if you really want to be good at your job. This is definitely a job you want to do some serious thinking about before just diving in. A lot of people who work in this industry, advise newcomers to go to seminars and parascience conventions beforehand to ensure this is something they want to do. As other paranormal workers have stated, “this is serious business”. Whether or not I actually believe in what they do is irrelevant, but I do know this type of business has a pretty big following. It’s not just a GhostBusters scene anymore, a lot of people really worry about having demons or spirits hiding away in their basements. For the people that do believe in such things, there’s no one better to call than your neighborhood Ghost Hunter. Fortune Cookie Writer: What’s your fortune? Everyone here at one point or another has eaten in or taken out Chinese food. Always at the end of the meal you crack open your little fortune cookie to see what’s in store for you or your future. Even though most people don’t believe the winning lottery numbers or the phrase that’s in the fortune cookie, it’s still an untraditional nice way to end a meal. The question on everybody’s minds though is, how do these Chinese food restaurants get the short hymns that are written on a small strand of paper lodged in between each one of these cookies? Believe it or not, there are people out there that do nothing but write Chinese cookie fortunes as their job! A lot of writers that still want to pursue writing but have not yet come up with any substantial works decide to freelance write for fortune cookies. Although this is not a solid career path for most individuals, there have been plenty of freelancers out there that consider this to be their job. Wonton Foods is actually one of the main distributors for fortune cookies and their phrases. Wonton Foods alone ships close to five million fortune cookies a day. 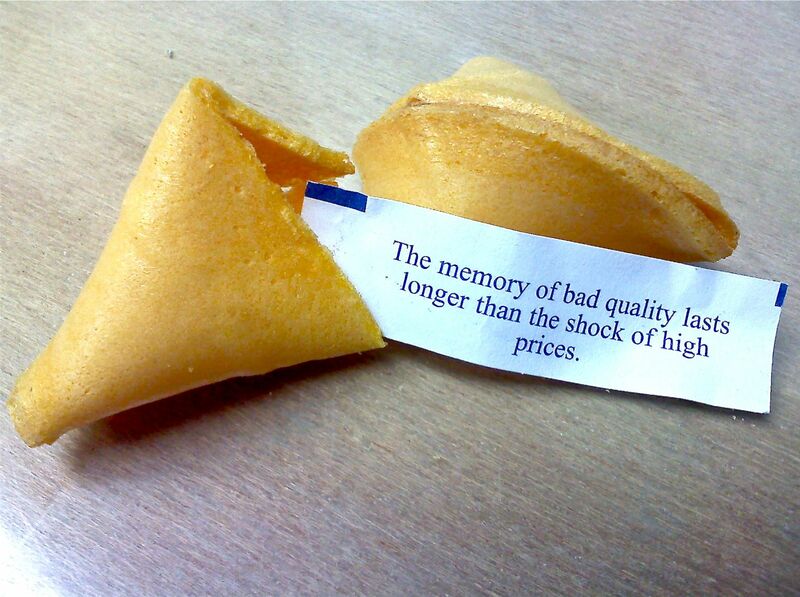 Wonton Foods in particular has contracted writers to continually refresh the fortune cookie sayings so that they stay fresh and new. Although fortune cookie writing may not be the job for you, it is still in fact a job that many people overlook and forget to think about. Funny to think that in China itself you can rarely ever find one of these sentimental one liner cookies. Many tropical resorts have a problem of coconuts falling from palm trees and hitting tourists who happen to be strolling around. To solve this problem they employ coconut safety engineers. So what exactly is a coconut safety engineer? You heard chemical engineer, mechanical engineer and all sorts of engineers before but a coconut engineer? A coconut need to be engineered? Well no, it’s not the coconut that needs a safety; it’s the people who are happened to be below the palm tree who might get injured if any ripe coconut may fall on their heads without any warning. 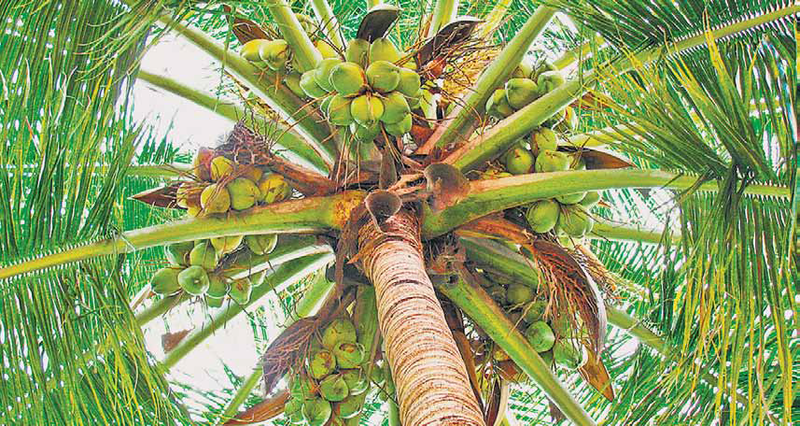 Tropical resorts hire coconut safety engineers who are responsible for picking ripe coconuts from the trees before they are able to fall and injure a passing tourist. Shaka, the engineer at the Ritz- Carlton, St. Thomas, isn’t just putting on a show when he shimmies up the resort’s palm trees, which tower from 20 to 60 feet high. A few studies have found that falling coconuts, can inflict massive head injuries, or even kill people beneath them. While some resorts at least post signs warning guests not to sit under the trees, the Ritz-Carlton isn’t taking any chances. Shaka climbs and picks ripened coconuts before they get the chance to fall. Some of the ripe coconut can reach over 3 pounds in weight which if fall on anyone’s head, can do serious injuries. head, can do serious injuries. In spite of sounded like a joke, this job of coconut safety engineer is very important for an exotic resort owner since it might save him from any unnecessary lawsuits. In fact, a falling coconut can do significant damage or even be fatal, the job might not pay that much, and there is no word if a CSE can keep the coconuts he knocks down, but it is a job which concerns itself with the public’s safety, making it quite noble and well worth the effort. 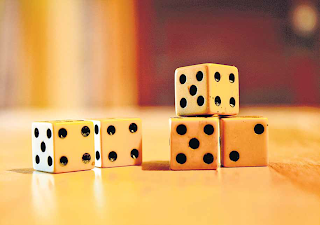 Even a small microscopic imperfection in the structure of the dice can distort the results of the game and bring someone unjustified fortune wins. Therefore, quality controllers, carefully examine the dice for physical or geometrical defects. Gambling in casinos and hotels is a big business in entertainment world. And mostly in the games, dice is an important part. In many games winning and losing depends on dice upto an extent like in cricket one would play good but at the same time he needs to have a perfect bat for perfect shot. So in gaming industry dice perfection is an important term. 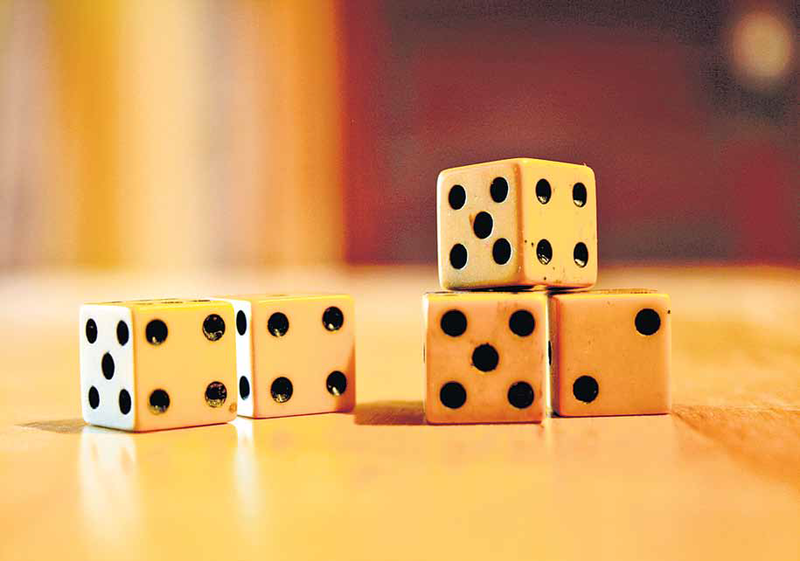 Even if you are a big player and know all the tricks to win, if the dice is not perfect, chances are you might lose. Big hotels and game zones make sure that dice to be used maintain the specifications and for that they hire people to get the quality control check on dices. 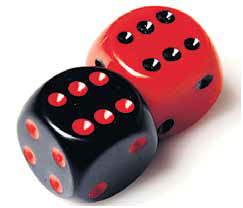 The quality controller dice is a job where a person has to make sure the dice is 100% on certain specifications. This he has to do constantly throughout the manufacturing process of a dice. The process of manufacturing goes through a lot. The final inspection process guards against material and human errors before the dice are finally placed in boxes and packed in cartons ready for shipping. who love the perfect in anything and has an eye for detail could just fit into the profile of Quality Controller Dice job. So what exactly you need to opt for this unusual opportunity if at all you are interested? Well eye for detail, knowledge of the manufacturing process of a dice, some knowledge of material used in it. There are even professional companies who do exactly this for casinos. They manufacture the perfect dices without any mechanical, technical or human errors and supply them to casinos and gaming companies. Places like Las Vegas where the main business of the city is gambling; the job requirement is higher than any other place. All the casinos there make sure their dices are quality controlled to get more business. Professional Sleeper: Snooze for a living! Paper Towel Sniffer: Paper towel earns you?